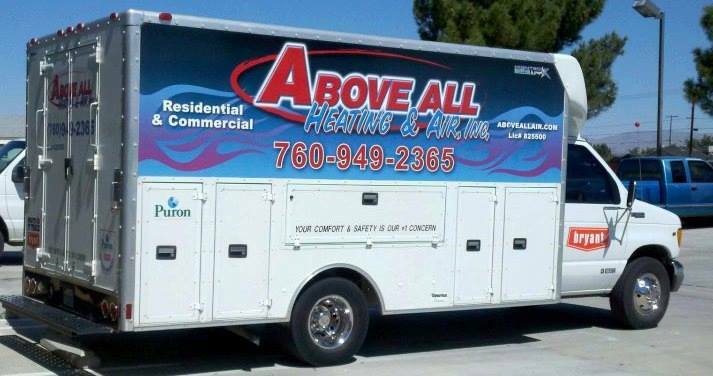 With more than 34 years in the heating and cooling business, Above All Heating & A/C is dedicated to providing the best possible service for you and your family. You can count on us to provide you with a system and solution that fits your family&apos;s unique needs and since we&apos;ve installed many systems in this area, we&apos;ve earned a reputation for doing the job right the first time. To assure your satisfaction, we start by asking questions. If we don&apos;t provide what you need and want, we&apos;re not doing our job. Second, we work with the leader in home heating and cooling equipment, We are a preferred Bryant Dealer. We service all brands of equipment and work with you to get the product you need. We have buying power with all suppliers. Finally, we provide quick, professional service and complete service plans to keep your systems operating at peak efficiency. It&apos;s all part of our tradition of service- assuring your complete satisfaction. Eric Schroder has enjoyed serving customers in the High Desert through their heating and air conditioning needs for over 18 years. Eric and his team pride themselves on good, honest customer service. Eric enjoys being active in his business community. He is a member of all three chambers and served as President of the Hesperia Chamber from 2008-2009. Eric is also a member of the Victor Valley Marketing Group, a group of business owners in the high desert promoting local business and honest service. (VVMG.net) Eric has served on two different occasions, on the board of directors for this group and continues to find support there. Eric also has been very active in the past in promoting licensed contractors and educating the public about the potential dangers of hiring unlicensed contractors. We hope you will give us the opportunity to serve you in the years to come!